The All-Party Committee on Mental Health and Addictions released Newfoundland‘s Mental Health and Addictions Plan, Toward Recovery: A Vision for a Renewed Mental Health and Addictions System for Newfoundland and Labrador in March of 2017. Just three months later the government released Toward Recovery: The Mental Health and Addictions Action Plan for Newfoundland and Labrador to address the 54 recommendations the previous report outlined. Newfoundland’s Mental Health and Addictions Plan has four main pillars that form the basis of the 54 recommendations: promotion, prevention, and early intervention; focusing on the person; improving service access, collaboration, and continuity of care; including all people everywhere. In order to assess the success of implementation of the recommendations, the government has committed to reporting back 6 months after inception, 12 months, and 24 months after. The first six-month report card has already been released so this blog will look at the recommendations as well as the updates. Within one year of implementation of Newfoundland’s Mental Health and Addictions Plan, the province has seen a 35% reduction in the number of people waiting for treatment. The average wait to see a mental health professional in St. John’s was 21 months and is now 24 days. The Burin Peninsula was an area of concern after a cluster of suicides led to people calling for more mental health services. Wait times there have reduced from 180 days to 0. The provincial Liberal government has pledged to implement all 54 recommendations from the committee by March of 2022. All 18 short-term recommendations, listed briefly above, have been achieved already, including the two new permanent full-time psychiatrists in Labrador. As part of the effort to increase the effectiveness of the mobile crisis intervention response team, 161 home visits were made in April 2018 compared to 84 in April last year. The Department of Health plans to spend just under $200 million on mental health and addictions care in 2018 and 2019. 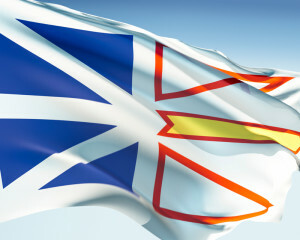 Newfoundland and Labrador has a big set of challenges against it as it is such a large area with a small population and revenue, however, it has demonstrated one of the best plans we have reviewed so far. Not only does the plan detail when recommendations must be achieved, there are set departments responsible as well as a comprehensive framework for achieving these ambitious goals. The government has not merely paid lip-service to the idea, but has embraced the work and has made tremendous strides in just over a year. 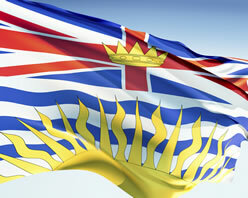 We look forward to reporting back on the province’s progress in the coming months. If you are looking for drug rehab and alcohol treatment programs in Newfoundland and Labrador please contact our specialist for assistance. 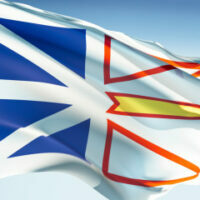 The post Newfoundland’s Mental Health and Addictions Plan appeared first on Canada Drug Rehab.